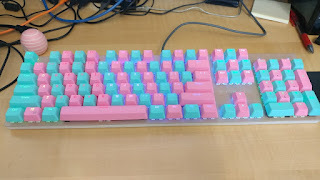 For some time, I've seen many people have these really wicked pastel-coloured keyboards usually representing the colours on the transgender tri-colour. 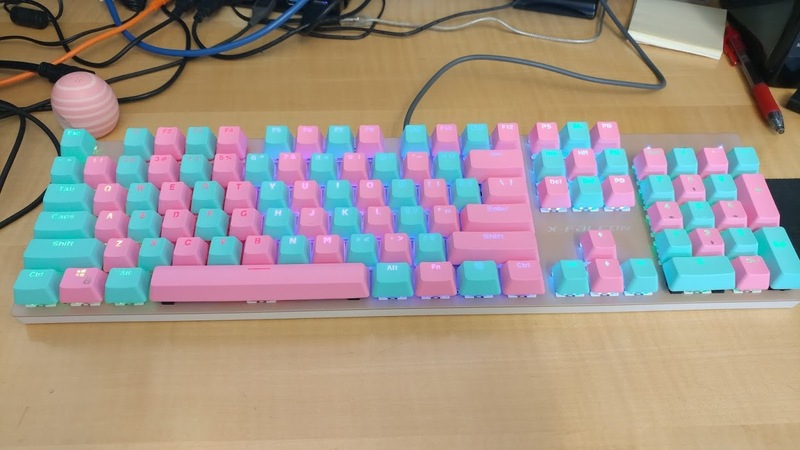 I decided that after fully coming-out that I'd change my keyboard at home and at work to reflect that--other people have these fancy LED Cherry MX-type keyboards so I figured why not. The top keyboard I bought brand new from Amazon for $77 CAD and the bottom one is a Coolermaster CM Storm which I have had for a few years for use at home. Both make use of Cherry MX switches meaning that swapping the keycaps was really straightforward! 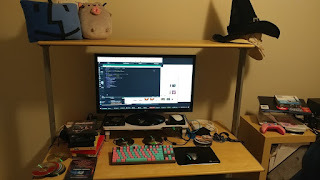 I got the keyboard and the keycaps within a few weeks (keyboard came the next day) but any Cherry MX keyboard of your liking will suffice.